As per Conscious Capitalism, Inc., the PURPOSE of chapters is to elevate humanity by advancing the understanding and practice of Conscious Capitalism Practices in their community. CCROC’s VISION: Conscious Leadership transforms our community’s business culture increasing happiness and growth. CCROC’s MISSION: To be students and teachers practicing Conscious Capitalism believing its principles empower and advance human happiness. The Greater Rochester Chapter of Conscious Capitalism, founded in March 2013, is a member in good standing of Conscious Capitalism, Inc, a not for profit organization that is dedicated to advancing the theory and practice of Conscious Capitalism. The official launching of US and International Chapters began in 2013 to respond to the increasing demand for information, guidance, support and collaboration from individuals and organizations throughout the world. Generally we meet the 3rd Tuesday of every month from 5:30 – 7:00 pm. 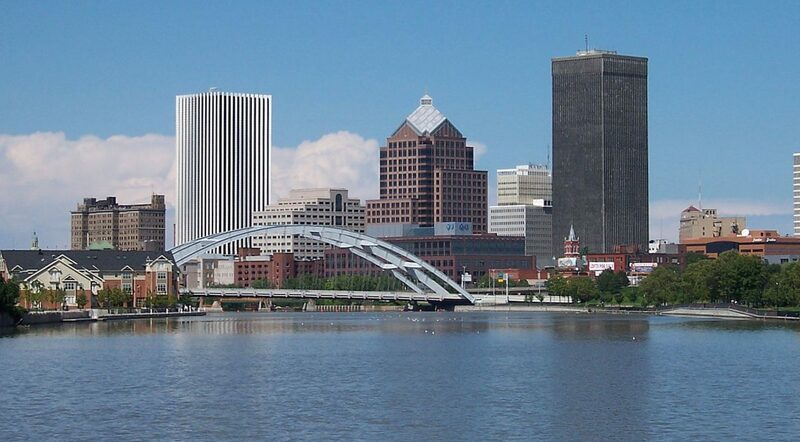 Our home base is in Rochester Cowork Downtown, 127 East Avenue. However, often have our meetings at Conscious Businesses around our community, so please note the location of the meetings. Anyone can join the newsletter and guests can attend a meeting or two before deciding whether to join. If you’re ready to join, you can get more info on membership benefits and levels here. Information regarding the national organization, Conscious Capitalism, Inc. can be found on their website. Please note: Joining CC @ the National Level does not qualify you for local membership.